As National Heart Month comes to an end, cardiologist Mohamed Dahodwala, MD at Saint Anthony Hospital would like to remind the community to live healthier lifestyles to offset the symptoms of heart disease. “When I talk heart disease with my patients the advice I give them varies, but my advice to the general community is to eat right, exercise, and attempt a stress free life,” said Dahodwala. 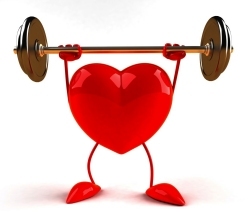 According to the American Heart Association, heart disease is the leading cause of death in men and women. 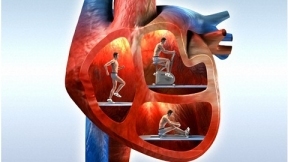 Every year, approximately 600,000 individuals die in the United States from heart disease. “It is a silent killer and unfortunately for some heart disease runs in the family,” said Dahodwala. “However, by making changes to your diet and staying on top of your health, you can lower the risk of heart disease.” Some of Dahodwala’s tips for living a healthy life include forgoing the use of alcohol, smoking, and getting enough rest. “I’m sure people have heard these tips many times before, but it is true. Eliminate the use of alcohol consumption, smoking, and most of all find ways to decompress after a busy day,” said Dahodwala. Dahodwala offers a few ways to distress in the form of exercise. Aerobic exercise (“cardio”): Running, jogging, and biking are some examples. You’re moving fast enough to raise your heart rate and breathe harder, but you should still be able to talk to someone while you’re doing it. Otherwise, you are pushing too hard. If you have joint problems, choose a low-impact activity, like swimming or hiking. Aim for at least 30 minutes of moderate-intensity activity (such as brisk walking) at least 5 days a week. If you’re just getting started, you can slowly build up to that. Strength training. You can use weights, resistance bands, or your own body weight (yoga, for instance) for this. Do it 2-3 times a week. Let your muscles recover for a day between sessions. Stretching: You’ll become more flexible if you do this a couple of times a week. Stretch after you’ve warmed up or finished exercising. Stretch gently — it shouldn’t hurt.